The collections of Gopala Gopala in USA are decreasing with the each day passing. 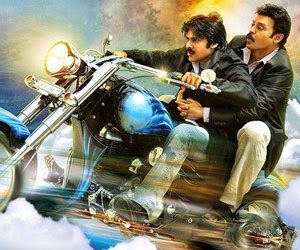 This Venkatesh and Pawan Kalyan starrer film opened up with average numbers in USA as the film collected only $282K on Friday. Gopala Gopala as able to collect $305K on Saturday and $120K on Sunday. So far, the film made an amount of $707K from 101 locations. Trade analysts feel that the film is about to close the business soon and end up as a loss project for the distributors in USA. USA distribution rights of ‘Gopala Gopala’ were brought for close to 3.5 cr. According to the current trends, crossing 1 million mark seems to be a tough task for the film and moreover, Shankar’s ‘I’ is arriving on January 14th with a grand release in more than 500 screens in USA.